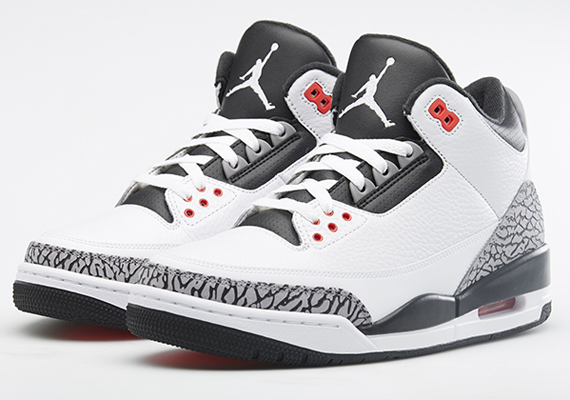 The Air Jordan 3 will be back this weekend after a quick hiatus following the release of the “Powder Blue” version. Next up is the Air Jordan 3 “Infrared 23”, which sort of does its best to look like an original colorway by keeping things classic with a mixture of white, cement grey, infrared, and black. The shoes are not being billed as a Twitter link only release as far as Nikestore is concerned, which bodes will for those that will be hunting down pairs on Saturday. Continue reading for the official angles on them and remember that you can probably already find them yourself now on eBay.